Caleb invites you on a journey to learn about attachment and trauma in this interactive story and workbook intended for children and the adults who support them. Caleb shares his own story about healing from his difficult early experiences, and encourages readers to join him in sharing their stories and completing the healing activities included in the book. 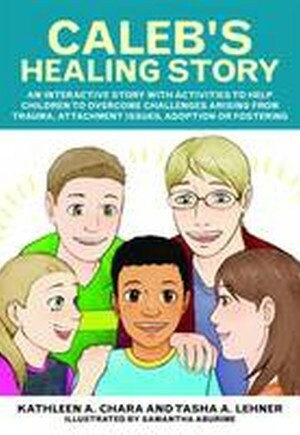 Caleb's Healing Story identifies the common challenges that children who have experienced attachment or trauma issues will encounter and offers easy to use interventions in the form of activities and worksheets. Fully illustrated, it is suitable for children aged 5-14, as well as their family, friends and those working with children who present with these issues. It is the ideal companion to A Safe Place for Caleb, by the same author, which outlines theories, definitions and strategies for addressing attachment and trauma-related disorders. Acknowledgements. Introduction to Parents, Caregivers, and Professionals. Characters. Caleb's City Map. Part 1: Caleb's Story. 1. The Boy who has a Story to Tell. 2. The Case of the Missing Chocolate Chips. 3. Anger is Not My Friend. 4. When the Past is Not the Past. 5. Healing is Hard Work. 6. The Shadow in the Corner? 7. Healing Kids Celebrate. Part 2: Activities and Assessments. Healing Activities and Assessments for Children and Teens. Healing Activities and Assessments for Parents and Caregivers. Part 3: Resources. Guidelines and Recommendations for Professionals. Further Reading. Helpful Organizations, Websites, Contacts. Glossary. Index.